Federal Reserve policymakers say they still expect to hike short-term interest rates one more time this year and three times in 2018, if persistently low inflation rebounds. 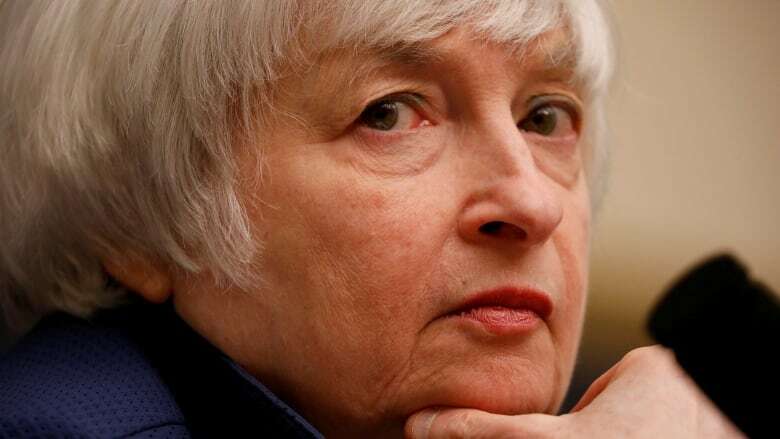 They also have lowered their long-run forecast for the benchmark interest rate the Fed controls to 2.8 per cent, down from three per cent in a previous forecast in June. That suggests they expect growth to remain sluggish and inflation low, and therefore don't need to raise rates as high to keep prices in check. Fed officials say they also foresee a slightly slower path for rate hikes in 2019. They now expect there will likely be two hikes, down from three. Fed officials decided to keep their short-term benchmark rate between one per cent and 1.25 per cent. The Fed views the job market as strengthening, but it notes that inflation is running below its two per cent annual target. Still, the Fed said in a statement that prices for gasoline and other items might temporarily spike because of the damage caused by hurricanes Harvey, Irma and Maria. The Fed also said it will start in October to gradually unwind its $4.5 trillion US balance sheet, which expanded to unprecedented levels in efforts to spur economic growth after the 2008 financial crisis. The balance sheet primarily consists of government and mortgage-backed bonds. As the bonds mature, the Fed plans to spend less money each month to replace them, which reduces the balance sheet. The U.S. central bank intends to spend $10 billion US less on bonds beginning next month, a figure that will eventually reach $50 billion US a month in October 2018. ​Additionally, the Fed said it expects the U.S. economy will grow this year at a slightly faster pace than it projected in June. It has also trimmed its inflation forecast. The Fed says in its latest quarterly economic projections that economic growth should reach 2.4 per cent this year, up from a June forecast of 2.2 per cent. The central bank also expects inflation will remain stubbornly low. The Fed now projects it will be 1.9 per cent by the end of 2018, a touch below its earlier forecast of two per cent. That would mean inflation would fall short of the Fed's two per cent target for the sixth straight year. At a news conference, Fed chair Janet Yellen said the Fed still believes that persistently low inflation is temporary. Yellen said several factors have held inflation down: A job market still healing from the Great Recession, lower energy prices and a strong dollar, which has reduced the costs of imports. Some Fed officials have questioned whether the central bank should continue raising rates, which it typically does to forestall inflation, at a time when price growth remains so low.